Work or play. At home or on the go. 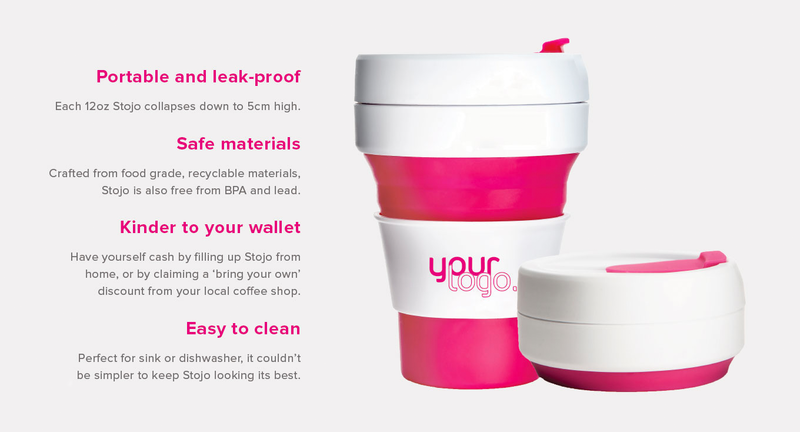 Stojo is the reusable answer to your daily refreshment. 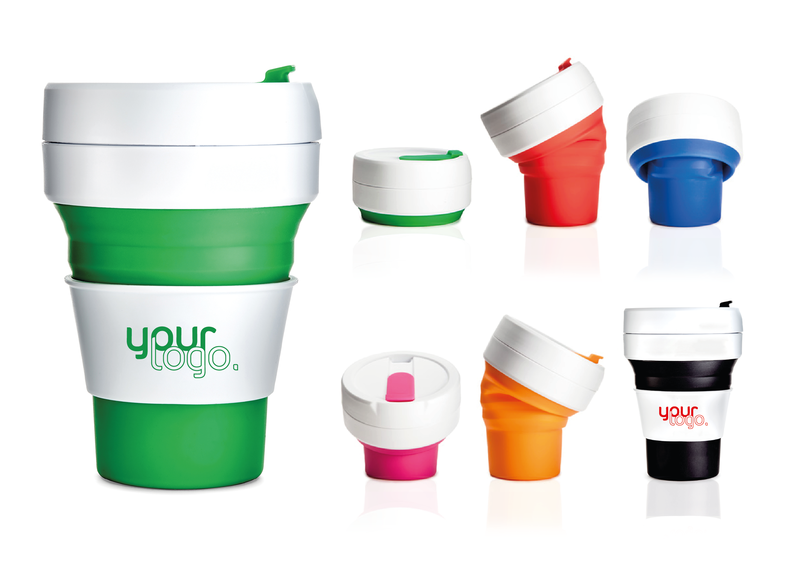 The collapsible design allows you to enjoy hot or cold drinks, anywhere, at any time. Simply use, drink, and collapse, before slipping Stojo into your pocket or bag, ready for whenever you need some hydration. Our world is always on the move. Unfortunately, this means that 500 billion single-use cups are thrown away annually. Reusable cups offer a sustainable solution, but are still burdened with being bulky and messy, leading people to choose convenience over eco-consciousness. Each pocket cup equates to 365 single-server cups annually, and thousands more over a lifetime. All of this makes Stojo the convenient choice for both the planet and your pocket. 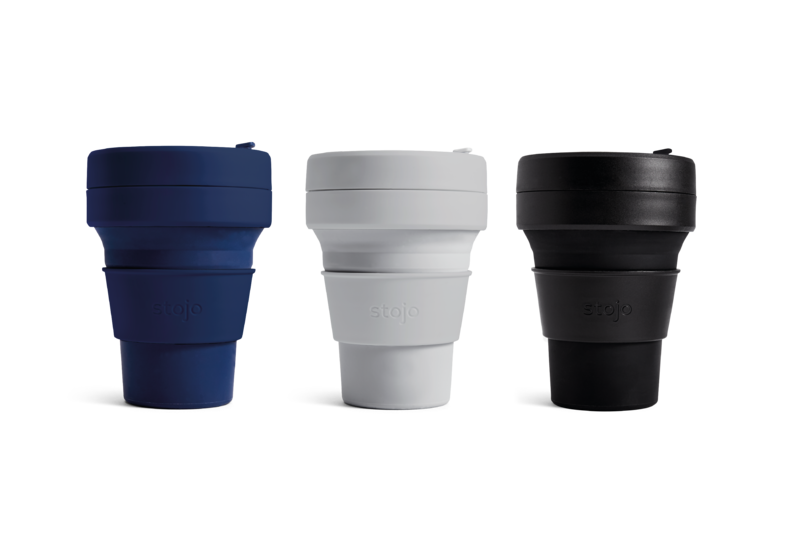 Stojos are available in six colours: green, red, blue, pink, orange and black. Each cup comes with a heat sleeve that can be branded with your logo as either a single screen print or full colour digital print. Supplied collapsed in its own box, the Stojo is the perfect promotional gift and eco-friendly statement. We also offer a small range of special edition Stojos, please contact us for more information. We are always happy to hear from you. If you have any questions, or would like to discuss your requirements, then simply get in touch. You can call, email or fill out our contact form. Think Kind is a registered company in England.